What is a partially effective vaccine and how can it limit the spread of HIV? What are the major scientific obstacles to the development of an effective AIDS vaccine? 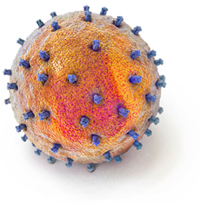 Why are HIV-specific neutralizing antibodies so difficult to induce with vaccination? How can researchers identify the correlates of protection for an AIDS vaccine? Why is voluntary counseling and testing for couples an important process for recruiting women into vaccine trials? Why are Phase IIb trials an important step in evaluating AIDS vaccine candidates?